Sums it all up. I didn’t know these lines until I discovered them on Luigi Maria’s blog. Thank you, Luigi! Posted on September 26, 2017 Categories UncategorizedLeave a comment on Audiolibri – Racconti, novelle. This time I had a look at the Biblioteca Estense in Modena – only the normal tourist bit, I didn’t get a special look round. As all the guide books will tell you, the library contains the famous manuscript bible of Borso d’Este, which is indeed beautiful, but somehow MSS just don’t do it for me – I like early printed books, of which obviously they have a fine collection including some printed by Aldus Manutius.On dispay are also some maps from the library’s cartographic collection, including a fine portolan. (NB There are lots of portolans in Barcelona’s Maritime Museum). Imagine my disappointment when I found that 2 of the half dozen or so display cases were filled with examples of facsimiles – not from their collection, which would have been fair enough, but from e.g. 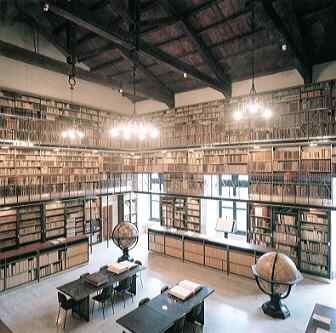 the Vatican Library. 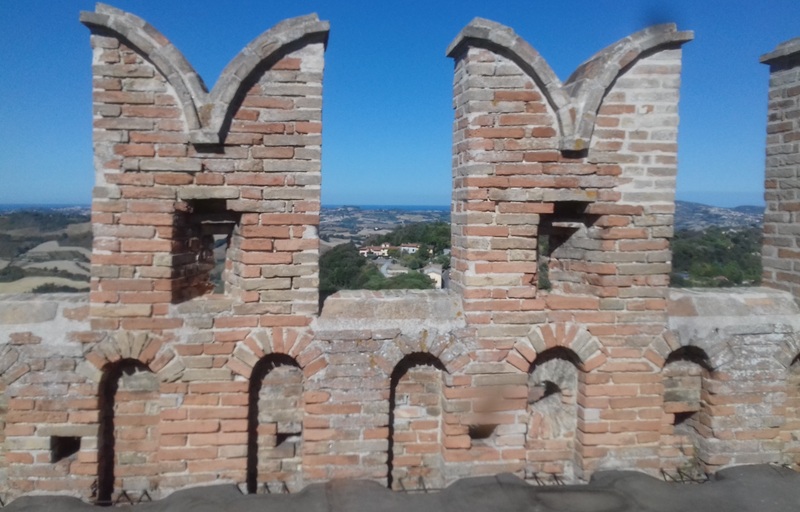 I also met my good friends, and helpers with my article in the Cilip Rare Books Group newsletter, Barbara Lepidio (a librarian at the university of Verona) and Monia di Cosimo, Corinaldo’s communal librarian. Barbara knows Mauro Mei, the doyen of antiquarian and rare book librarianship in the Marche, and has offered to introduce me to him which would indeed be a privilege. When I arrived here the exhibition I had hoped to see was in the process of being moved from one floor to another. I expressed my disappointment, whereupon a kind employee offered to show me round the library itself. 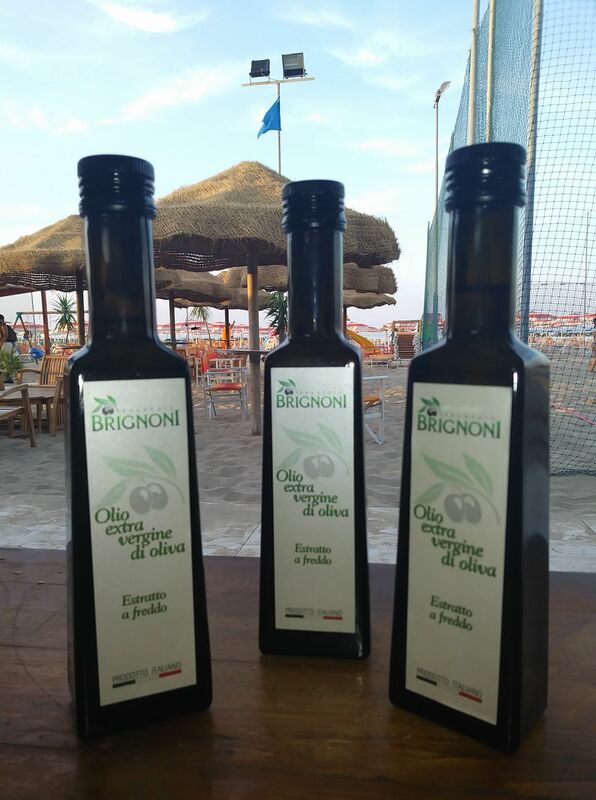 This is just what happened in Mondavio (see my earlier post) and is typically Italian; everything is personal. Jesi’s public library goes back to … well, just when does it go back to? It is based on a donation made to the city in 1710 by the jurist and bibliophile Monsignor Giuseppe Pianetti. As a priest, he didn’t have any direct descendants to leave his collection to, so he left it to the city via his nephew Cardolo. This is one of the reasons why the Marche region is so rich in fine books and libraries. As part of the Papal states, the Marche had lots of priests! 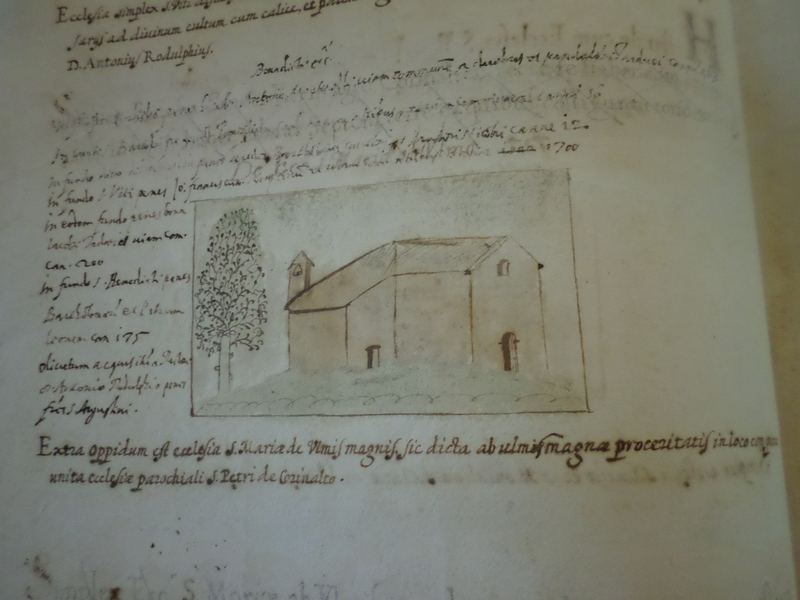 The good cleric’s nephew had a catalogue of the library compiled by a Franciscan friar of Ancona. This beautifully handwritten and illustrated work now rests proudly on a table in the middle of the room. 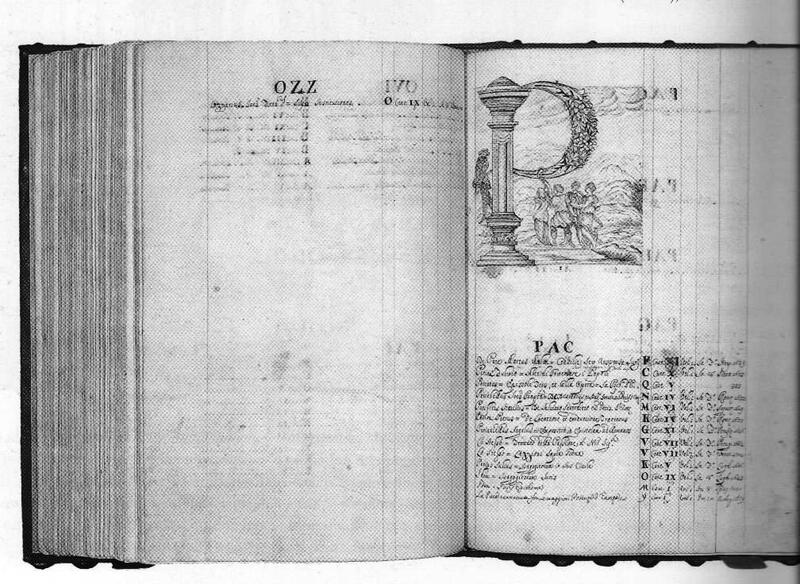 “P” page of the catalogue (above ). Both from collectio thesauri, vol 1, pp447-8, ed. Mauro Mei. Florence, edifir for Regione Marche, 2004. 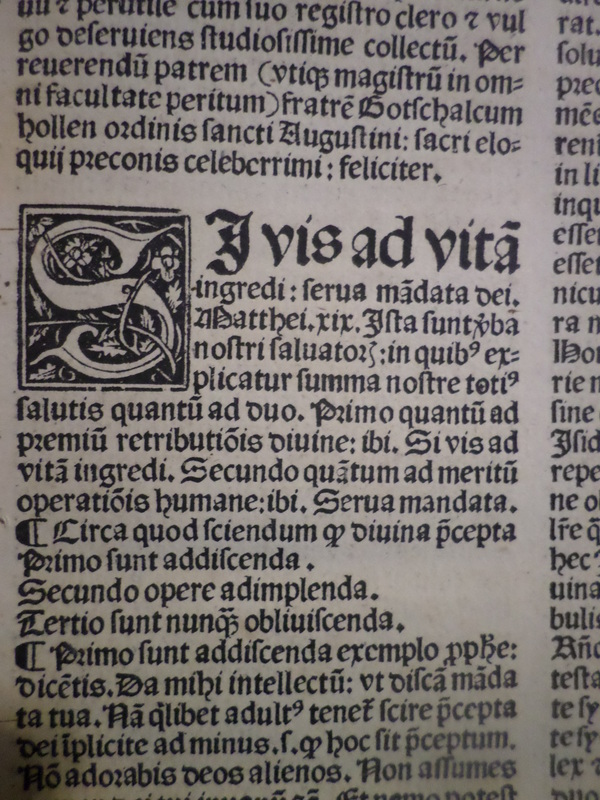 I asked my guide about incunabula, and he was particularly proud of the Constitutiones Egidianae of Cardinal Albornoz, (the constitution of the Papal States), printed in Jesi in 1480 by Federico de’ Conti. 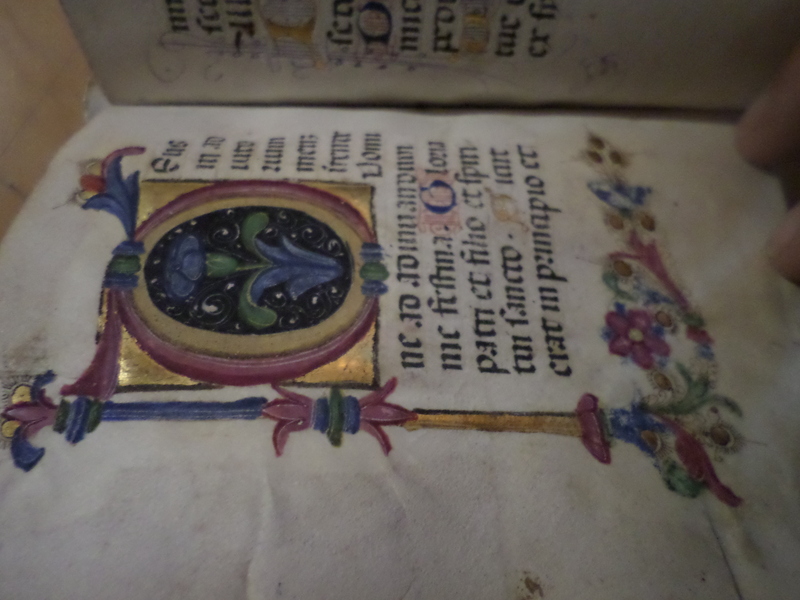 I also saw a little office book, printed by a local monastery in 1473, with one illustration. My guide was also very anxious to show me two facsimiles, one of Dante’s Divina Commedia, also printed by de’ Conti, in 1472 (now in Ravenna). The people of Jesi are understandably proud of the fact that this is one of the three earliest Italian printings of the Divina Commedia. The other facsimile was of a manuscript of “Hunting with Birds” by Frederick II, who was born in Jesi. It is a beautiful manuscript with detailed illustrations, apparently very useful for natural history, but not really what I am interested in! However, I didn’t have the heart to say this to my guide. It was a bit frustrating when I got back and looked at my Marcheggiano bibliographer’s Bible, the exhibition catalogue of Collectio Thesauri, and realised what I could have asked to see. This leads me to digress and remark on the Italian love of facsimiles. 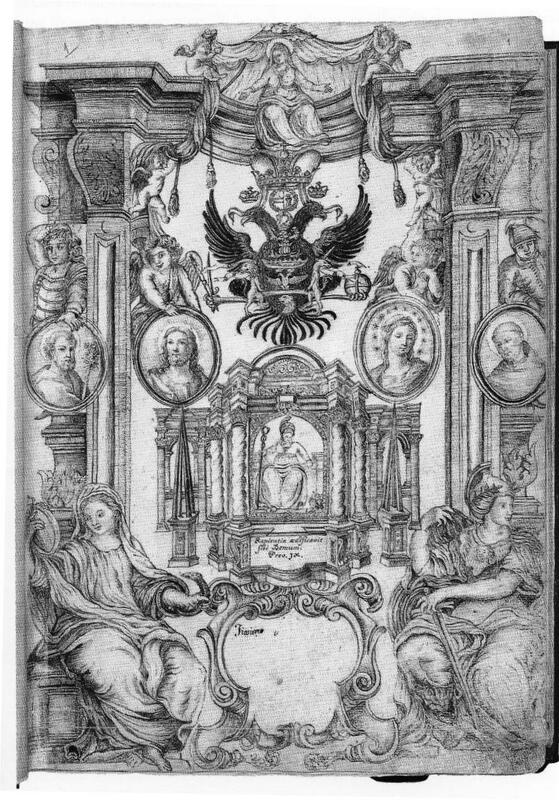 In Modena two whole display cases were dedicated to them, and recently the Vatican library donated a very expensive and beautifully produced facsimile to the Queen’s library at Windsor Castle . I suppose they are proud that they can still achieve the same fine craftsmanship as their ancestors. Seneca’s Works [in Latin]. Paris: Dupuis, 1586. The globes you can see in the photograph at the top were made in 1699-1700 by Coronelli, a Venetian monk who was also the founder of the Cosmographic Academy of the Argonauts in Venice in 1684, followed by his appointment as Cosmographer of the Republic [of Venice] in 1685. His fame was assured by the fact that he produced 2 globes for the King of France between 1681 and 1683. Never mind that they weren’t very accurate or easy to use: what was good enough for the king of France was good enough for Monsignor Pianetti.